Tony Elischer we will miss you. It is taking time to sink in, the loss of you, my friend. But I have a few words I wish to say. My friend and teacher Tony. You have lived and you have been loved. You have taught and you have learned. You gave and gave and gave. And from that, I know you will have taken, and you will have laughed and smiled at our achievements and our failures. – We will remember you. – We will remind ourselves of your energy. – Your ability to critique us and push us to be better. – Your careful way of showing us there is always more. – More we can do. – More we can be. – More we can learn. – More that can be achieved. You led us with innovation and passion and energy. And your amazing personality that cut through to always achieve the best for everyone. We have loved you. We know you have loved your work, your family, friends, and fundraisers and fundraising. Pushing yourself and all of us, across the world, to not only do better but to do the best. When we can answer those questions in all that we do, we will be on the way to being the best fundraisers we can be. Only then will we be part of your team Tony, and part of your legacy. – Keep up the good work. – To not forget we are changing the world for the better. Day by day. No matter how hard it is. What we do is important. Tony you taught us this! Thank you. It took me a couple of days to be able to write something for you, my friend. I began by feeling too sad. But as we pass midnight into this new day, today, it is my birthday and I want to dedicate my celebrations to you. When I meet with another fundraising friend for dinner later, we will drink to you. We will love and remember you. We will drink and celebrate to the future that you will continue to be part of. Because we have all learned from you. You have our love Tony. And we have your passion, teachings, encouragement, energy, and the knowledge you helped us to gain. Thank you. Thank you for being our friend and teacher. We will strive to not let you down. You are missed already Tony Elischer. An excellent and uplifting piece from the brilliant Mr Stephen George. Made me smile on a rainy Monday. 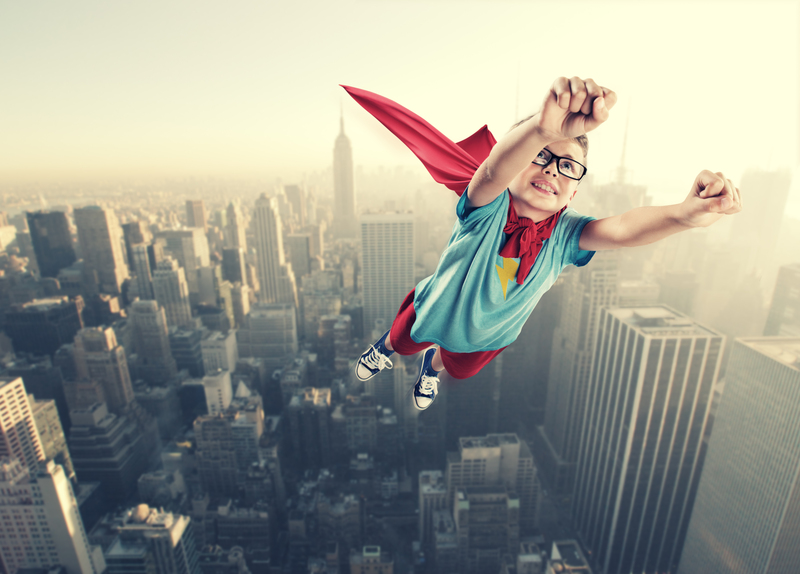 After much soul-searching in the fundraising sector in the last few months, and much anguish about the future and direction of travel, I have compiled a powerful list of 10 ‘saviours’ for fundraising and the sector. If done together and with heart, values, principles, stories, creativity, service and care, insight, humility and solid process to back it up and the cause and need as the engine the results could be amazing. Please share – they are groundbreaking and revolutionary. Here they are, in no particular order. I know. Exciting stuff. Truly – we are saved. Today I start my day reading another news story about charities. It makes me angry and incredibly sad. Fundraisers and charities do absolutely incredible work. And yes there will be a very tiny few that do something badly or wrong. That is similar to most professions and workplaces. And I say similar not same because regardless of the media hype – problems/mistakes/wrong doings in the fundraising profession are rare. Complaints are extremely minimal. I wish the media would spend their time highlighting the incredible and amazing work done across the street/region/country/world because of fundraising. So today I responded to a Facebook piece/link about a Guardian post talking about charities allegedly ‘aggressive’ fundraising. I responded as follows. “Please consider “chugger” is charity mugger. No street or any other fundraiser is a mugger. They – whether brilliant or not very well trained and supported – are fundraisers doing a job. They tell people about a charity and its work and they ask them if they would like to be involved/donate/be contacted. Every person asked has the freedom to say no thanks and to walk away. They also have the freedom to say no thanks and close the door or hang up the telephone. This is no different to putting a letter/door drop/newspaper or magazine insert into the bin. We all have the freedom to chose to donate/set up a direct debit/say no. It is time for fundraisers to stand up for the amazing work they do. No fundraiser or fundraising charity should say anything bad about any type of fundraising. Every type is about asking people to help other people/animal/environment/etc. And everyone asked can say yes or say no thank you. Everyone can say no thanks and please remove my details. Don’t complain. Either donate and do something good. Or say no thank you. Or say no thank you and please remove my details and don’t write or call me again. I donate to several charities/causes. I say no thanks to many more than I donate to. It is my choice. When I say no thanks and please remove my details my details are removed. It is simple. There are some bad/badly trained people. Just as in any other profession/industry. But let us all remember. Without fundraisers and the fundraising profession there will be no charity to help you if you have cancer/epilepsy/diabetes/Alzheimer’s/depression/mental illness/etc or to rescue you at sea or to help you see out the end of your life because there would be no hospice. This year at the annual Fundraising National Convention the theme is #bestyoucanbe. This is what most fundraisers strive for. To do the best they can. For people like you and me. So people or animals have better lives or so we can all have a better environment. Or to help others after a disaster situation. It is always dreadful when we hear about something that has gone wrong of course – but they are few, very few. The media love to hype up any problem. Don’t add to the hype. Remember that you need charities. We all do. And as the government cut backs continue and austerity measures continue to increase. Remember it is your local national and international charities that will be there to help you. I just ask you to think. And that is all I ask of you. Please think. Thank you. And thank you to all the amazing fundraisers out there in the UK and across the world. I know you are all being the #bestyoucanbe. We need you. Thank you. We are, this year, celebrating #proudfundraiser. And people sometimes ask, who and what are we as fundraisers? What do we do? Well we raise the money that pays for all the important work charities undertake. There are many types of fundraiser. From the on street face to face fundraiser, to trust fundraisers writing specialised grant applications, to corporate fundraisers developing partnerships with business, event fundraisers organising small and huge events, major donor fundraisers working with wealthy individuals, special events fundraisers organising balls and gala dinners, to community fundraisers, legacy fundraisers and more. We raise money from all kinds of fundraising. From running events, to appeal letters, telephone calls and through on street face to face requests. From parachute jumps, to dress down days, to coffee mornings, raffles and growing moustaches. Sponsor forms, mailings, direct debits, cheques and thank you notes. We are pretty busy! And to direct a fundraising team you need knowledge of all the different types of fundraising AND the skill set to implement all the different methods within each one. Phew! 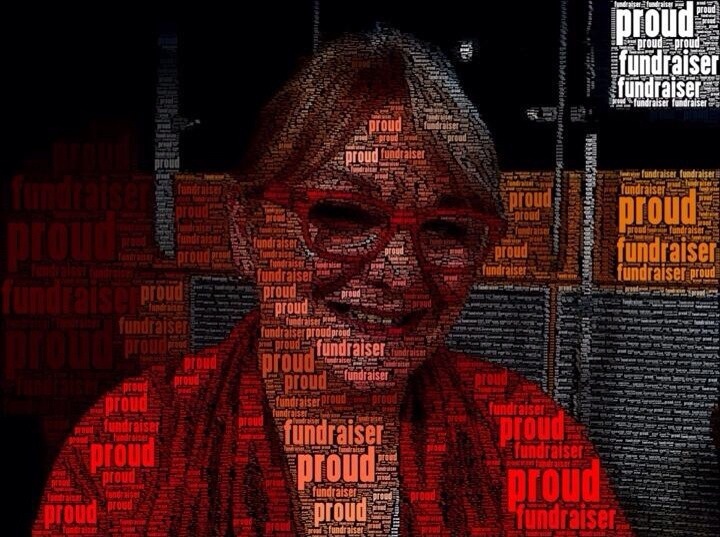 For me, I know that being a #proudfundraiser is only possible because of my very wide ranging skill set. So as I was thinking about writing this, I began listing the things I need to know about and be expert in to be a fundraising director in 2014. Direct marketing. Social media. Trading. Product design. Sports events. Gala dinners. Tribute funds. Restricted funds. Management accounts. Forecasting. Legacy management. Payroll giving. Recycling. Charitable trusts. Corporate partnerships. Cause related and affiliate marketing. Gambling Commission. Charity Commission. Fundraising Standards Board. Institute of Fundraising Code. PFRA. Home money boxes. Telemarketing. Charity shops. Web design. Risk assessments. Public liability insurance. Due diligence. Membership schemes. Gift aid. Donor benefits. Appeals. Newsletters. Collection tins. SEO and PPC. PR. Recruitment. Strategy. Business Planning. Key performance indicators. Current affairs. Return on investment. Customer service. Staff morale. Investment in people. The fundraising promise. VAT. Third Sector. Civil Society. Fast moving technology! Age cohorts. Target markets. Audience geography and demography. Rapport. Diversity and equality. Databases and spreadsheets. Public speaking. Presentations. Representing our charities as ambassadors. My actual list is much longer! So #proudfundraiser I think we should remind ourselves of just how complex and professional a role we play. Every fundraiser is integral to the work a charity does. Everything costs money. Staff, equipment, buildings, power, travel, services. Computers, databases, paper and pens. And we have to raise money to make all these things be possible, and to make all the necessary work happen. And as we talk or write to all the people who generously donate money or take part in events we have lots and lots of conversations. So we don’t only focus on the money. We focus on why the money is needed. We focus on the end result – the impact and the outcomes that can be achieved. We care about and focus on the positive difference that can be made to the world because of the generosity of donors and supporters. We show how through the money we raise we are seeking cures and coping strategies for Epilepsy, Cancer, Alzheimer’s, and many other diseases and conditions. We show how we are saving lives, creating happier futures, and looking after the environment. We show how we are protecting animals, bees, whales, trees and rainforests. And we show how we are making positive changes every day for people like you and people like me. My job is complex and difficult, and I love it. I know that as #proudfundraisers we are using our skills to achieve some great things. And what I am really proud about is that instead of using our skills to generate profit for commercial companies we CHOOSE to put our skills, expertise and abilities to use to deliver outcomes within the charity sector. We are NOT here because we can’t be anywhere else. We have as much intellect and skill as doctors, nurses, solicitors and lawyers – but our calling in life is to be passionate about making life better for other people, animals and environments. And we HAVE to be good at what we do, because it’s not about profit to make the fat cat richer, it’s often a matter of life and death. Failure is not an option. I am proud of what I do, and of what my fundraising team and organisation does. Fundraising enables my charity, Epilepsy Action, to achieve better outcomes for people with epilepsy. As fundraisers we carry a huge responsibility – but with high personal reward and affirmation of contributing to a better world. So I wanted to finish by saying THANK YOU #proudfundraiser. You are amazing and you have vision. You are prepared to be innovative and you want to change the world for the better – and you do, with every generous gift and donation you achieve. Each and every fundraiser has chosen to be in the sector. And that’s really something to be proud of. You are the world’s change-makers – and I as just one #proudfundraiser thank you for that!